1 Air Division, Metz - A web site dedicated to the many units which functioned in Metz (Air Div HQ, Support Unit (SU) Metz, 61 AC&W Squadron, 601 Telecom Squadron) as well as an extensive area pertaining to the RCAF military cemetery which is located at Choloy. RCAF Military cemetery at Choloy France - Photos and historical detail pertaining to those who died in Europe and were buried at Choloy. 2 Wing Grostenquin - A web site dedicated to 2 Wing Grostenquin, France. 3 Wing Zweibrucken - Detail pertaining to 3 Wing Zweibrucken, Germany. 4 Wing Baden-Soellingen - A web site dedicated to 4 Wing Baden-Soellingen, Germany. Rutland's Swords - March 2004. Les Militaires Canadiens Vinrent a Marville - 26 April 1984. OTAN de Canadair Sabre de la RCAF - March 1981. Canadian Sabre de la RCAF - February 1981. Have you ever tried to find a white jelly bean on your front lawn after a six foot snowfall? The chances of finding a used copy of this book are about as remote as finding that illusive "white jelly bean". We were lucky - and we did manage to locate a used copy from a book store in England. This is the most detailed book ever about the famous F-86 Sabre. Designed by North American Aviation in California, the Sabre is the classic jet fighter of all time, the plane that made history by taking control of the skies over Korea and drubbing the MIG-15. Chosen by the RCAF to fulfill its day-fighter needs, most of the natty little Canadian Sabres would be stationed in Europe with the 1 Air Division. For over a decade they ruled the skies and brought fame to Canadian pilots, who regularly walked away with top gunnery awards, including the coveted Guynemer Trophy. The book tells the story of the 1815 Sabres built under licence by Canadair in Montreal. The story starts in the immediate post-war years, when plans were made to complete 100 aircraft. The program soon gained momentum, reaching a production rate of two a day. Both Canadair Sabres and RCAF pilots served with the USAF in Korea. The RCAF's first Sabre squadrons were formed at St. Hubert, Uplands, North Bay and Bagotville, then moved to the UK at North Luffenham and finally to the Continent. Their story is enlivened with details from the squadron diaries and the memories of those who were there. The ferrying of Sabres from Canada to Europe is a story in itself -- the Leapfrog and Bechers Brook operations, as well as the sometimes uproarious goings-on of the Overseas Ferry Unit. 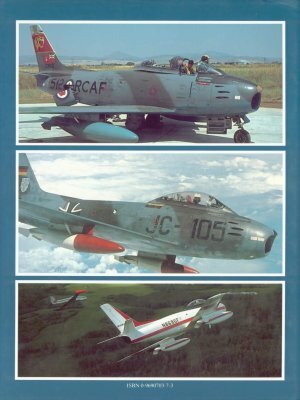 Besides the RCAF story, the book describes at length the Canadair Sabre's service with the RAF and Luftwaffe. It also covers the many other operators, including the Italian, Greek and Turkish air forces. 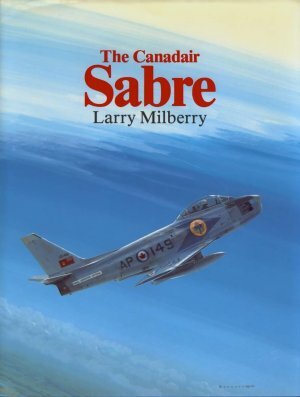 The Sabre is seen in combat with the Pakistan Air Force in 1971, and other little-known tidbits are included too, such as Canadian-built Sabres for Israel, in the Congo with the UN, and recently with the Honduras Air Force in Central America. Also covered are such stories as Jacqueline Cochran breaking the women's speed record in a Canadair Sabre and today's Sabre survivors, used as target drones and sport planes in the US. Still in service after 30 years in the air, the Avro CF-100 twin-jet interceptor is one of Canada's great aviation success stories. It is the only Canadian-designed fighter to go into mass production. Known officially as the Canuck, and unofficially as the Clunk, the Lead Sled, the Aluminum Crow as well as other sometimes unmentionable names, the CF-100 was once a familiar sight in the Canadian and European skies. With its Orenda engines housed in bulky fuselage-hugging nacelles, it is a distinctive-looking aircraft. Beside today's supersonic fighters it looks positively archaic. 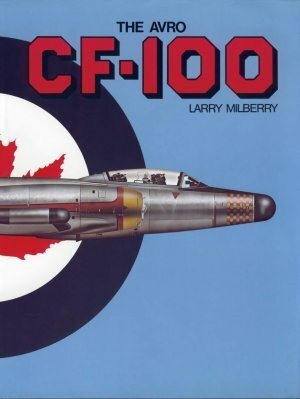 This book describes the aircraft's development from design and first prototype flights to all later Marks, even including proposals for a four-engine CF-100 and a STOVL ground-attack version. This handsome book tells the story not only of the aircraft but of the people who flew it. In its heyday over 20 years ago the CF-100 served on the front lines with NORAD and NATO. Such aspects as aircrew training at North Bay and Cold Lake, squadron formulations, weapons practice, armament research, and service with the Belgian Air Force (the only other air force to fly the CF-100) are covered in detail. Fascinating first-person accounts describe such events as test flying, scrambles, a bail-out after a near-fatal mid-air collision, and an electronic warfare mission with the Clunk playing enemy bomber. 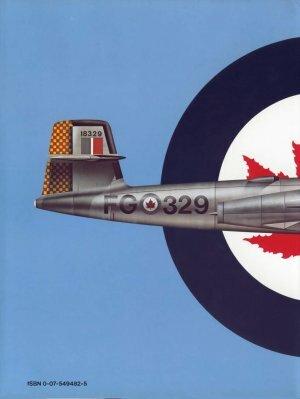 The book includes the largest and finest collection of illustrations of the CF-100 and its era ever published -- over 300 photos, engineering drawings, cut-aways, foldout cockpit diagrams, and maps, as well as superb colour profiles by aviation artist Peter Mossman. The National Film Board of Canada carries a wide selection of movies which were produced in the 50s and 60s. Many of these are available on the original 16mm format, and the NFB is in the process of slowly converting these items to VHS video format. The NFB can be reached at 1-800-267-7710 (283-9000 in the Montreal area) or at www.nfb.ca on the Internet. Official Description: A brief introduction to the social adjustments and general rules of behaviour necessary for Royal Canadian Air Force personnel taking up European postings. Our Description: If you served with the RCAF in 1 Air Division during the 1950s, and if you are into nostalgia, then this VHS film is a must. While the film is generic in nature, it covers all locations starting (in sequential order) with Metz, Langar (some excellent clips of the Bristol 170 Freighter), Marville, Grostenquin (about 6 minutes of footage which depicts not only the base but the PMQ area on the outskirts of St. Avold), Metz, Zweibrucken, Baden Soellingen, Decimomannu and even the RCAF cemetery at Choloy. There is some excellent low level aerial footage as well as a number of wide angle shots - thereby taking the viewer back in time. Talk about going back down "memory lane". 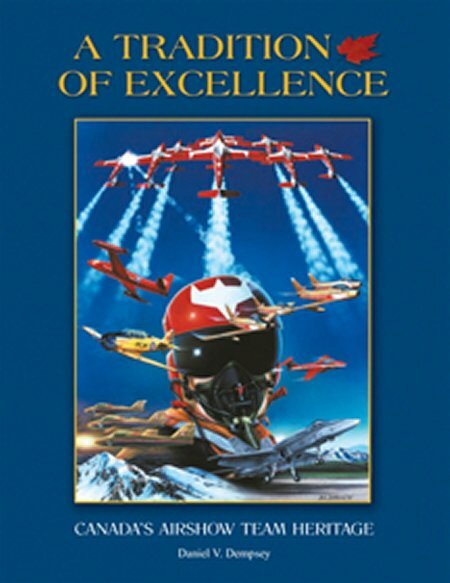 Official Description: A film of Royal Canadian Air Force jet pilots in Zweibrucken, West Germany. Our Description: It doesn't matter that this movie was filmed at 3 Wing, Zweibrucken - as opposed to 2 Wing, Grostenquin. 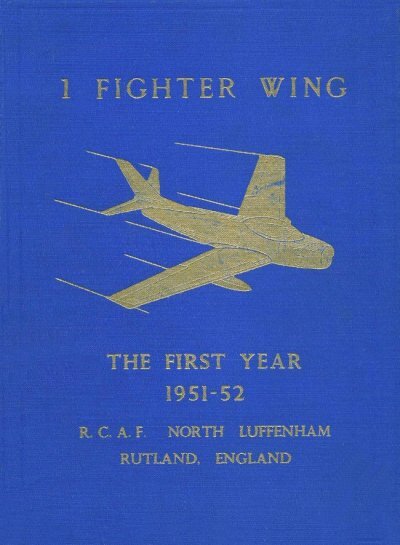 The content applies to all of the Wings which formed the Air Division during the 1950s. Fred Davis acts as host and the story is centered on two pilots of 427 Squadron based at 3 Wing. Davis interviews the pilots and attempts to determine exactly what they do, and how they do it. The movie was filmed at a number of locations such as the squadron dispersal area, the control tower and the GCA trailer and it shows how the aircrew was placed into various stages of readiness and eventually scrambled against an intruder which uses Luxembourg as its target. It is at this stage that the film enters an area of non accurate detail - as the movie would imply that the Operations Room resides at 3 Wing, where in reality, this complex was the 61st AC&W Squadron - located at Metz France. None the less, the movie shows the scramble of two F-86 Sabre aircraft from Zweibrucken, an excellent session pertaining to 61 AC&W Squadron (interior clips of the Operations room showing radar equipment, the vertical plotting boards, FCO and AS/FtrC personnel), the intercept of the intruder aircraft, and the eventual return to 3 Wing for the Sabres making use of a GCI-GCA approach. If you served in an operational role, then this 30 minute movie is a must. Official Description:From 1951 through 1963 the Rotal Canadian Air Force ruled the skies over southern Europe. Flying their Canadian-built F-86 Sabres they were the scourge of airforces from Norway to Turkey. In this 55 minute video, specially commissioned for the recent RCAF Sabre Pilot's reunion (1996), see how they lived, loved and flew. Gleaned from hours of home movies and slides, never-before-seen shots show air-to-air gunnery at Rabat, Morocco, standing Zulu alert in France, flying the Atlantic and romance on the Continent - and much, much more. "An accurate video depiction of life in the Fighter Wings of 1 Air Division from the 50's into the early 60's". W/C Jack Webber, CD (RCAF, Retired). Our Description: This video is a mix of film footage, slides and photos that depict Sabre Squadrons in all four Wings within 1 Air Division during the 50's and 60's. Regardless of where you may have been stationed - there is bound to be something in this video that stirs memories from the past.